The Christmas Light Pro’s Tri Valley – Let us light up your holidays! Thanksgiving is almost upon us and the true spirit of the holiday season is in full swing, we hope you enjoy this month’s post with new holiday events in your area, a new seasonal tip, and a fun Christmas light installation project our team completed in your neighborhood. As you are thinking about this year’s holiday decorations and fun gatherings ahead, be sure think of The Christmas Light Pros of Tri-Valley and our professional Christmas light Installations services in the Tri-Valley. Our new blog is here for you, and we hope you enjoy the second part of our 3 part holiday Christmas event and light mini-series. Let us know if you would like us to feature your holiday event in our blog, and send us your Christmas lights pictures to post on our website! Our featured events for the second part of November is Earlier than the Bird shopping event in downtown Pleasanton, The Holiday Spirit Stroll in Livermore, and the Annual Lighting of the Oak Tree in Danville. These holiday inspired events take place in the next couple weeks in the Tri Valley area. 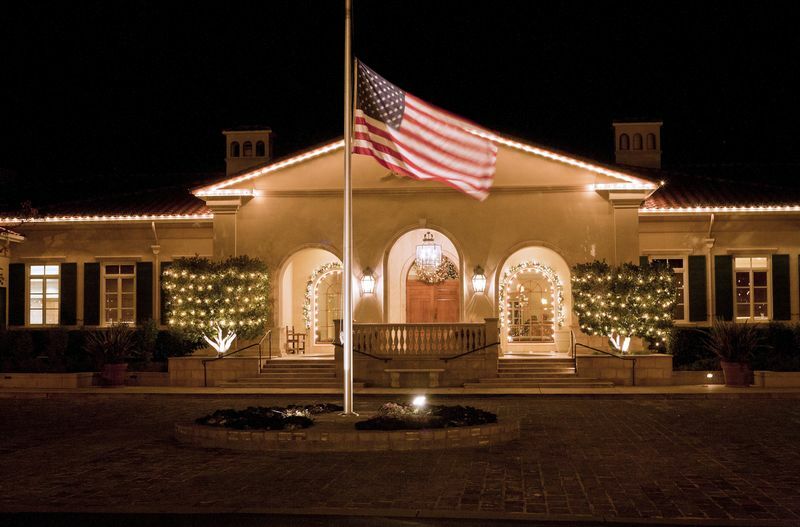 For a complete list of events, visit their website at http://visittrivalley.com. The 11th Annual Earlier than the Bird shopping event in downtown Livermore on November 21st from 7AM-10AM. Downtown Livermore’s many boutiques and stores will be open to serve you at 7 a.m. offering special deals, promotions and treats. Start with a hearty breakfast or end with a refueling lunch and remember… pajama attire is acceptable dining wear for the day–free giveaway for all wearing pajamas! For more information click here. The Pleasanton Downtown Association will be hosting a their fun annual holiday evening event, Holiday Spirit Stroll, in downtown Pleasanton on Saturday, November 21 from 5 – 8 p.m. Downtown stores and boutiques will be paired with local breweries, wineries and bars for a holiday night on the town sampling beer, wine and cocktails. For more information click here. Join the community of Danville as they celebrate the annual tradition of the lighting of the old Oak. The festive holiday event starts at 5:15PM, and local choral groups perform holiday classic as local merchants pass out hot beverages to guests. Take a stroll downtown afterwards and enjoy the holiday lights and wonderful decorations that twinkle in the night. For more information on the event, click here. Our team of dedicated installers have installed dozens of home across the Tri Valley this holiday season. Check out the couple houses we installed top of the line christmas lights and holiday decorations to light up their block and share in the holiday spirit. Check back next month as we add some more exciting projects, and if you would like to have your home or business featured on our blog, just let us know! Part 2: Your Vehicles – Auto thefts are up in the Bay Area – Keep your gifts protected. Be sure to lock your doors, and not keep things out of sight. Use your trunk! Park your cars in your driveway and private property to prevent nosy window watchers. When shopping, park in well lit areas, and look for places that are covered by cameras. Make sure to arm your alarms and don’t be afraid to arm it twice for anyone watching. 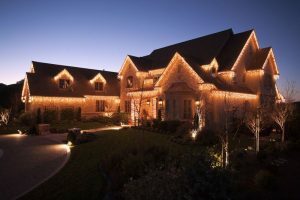 The Christmas Light Pros Tri Valley are your go to Professional Christmas light installation team. We will supply all your Christmas lighting and holiday decoration needs. Our one price, no hidden cost packages, includes all Christmas lighting products, professional installation, full services maintenance and removal at the end of the season. You no longer need to deal with storage hassles, climbing on ladders for repairs or upgrades during the rainy season, or dealing with tangled light strings and old holiday decorations, you can actually just enjoy the holiday season for once. Our team of experts provide top of the line commercial grade products and take the hassle and headache out the holiday decorating process. Our friendly, knowledgeable and professional team can handle any size job, from residential Christmas light installations, to large shopping center holiday decorating and commercial Christmas light installation! We use only the best lighting technology. With our LED Christmas lights, you can rest assured that your energy usage and carbon footprint will be at a minimum. Be sure to check back in a couple weeks for our next blog release with upcoming Tri Valley holiday events, new Christmas light installation projects in your area, and another helpful holiday tips to have a safe and fun holiday season.. And don’t hesitate to give us a call for any and all of your residential or commercial Christmas light installation needs in the Tri Valley. 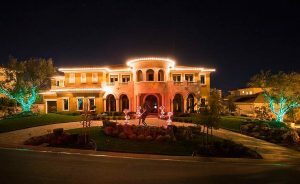 We provide Residential and Commercial Christmas light installation in Alamo, Blackhawk, Danville, Dublin, San Ramon, Pleasanton, Ruby Hill, and Livermore. Give us a call today or send us a contact to receive your free quote today!